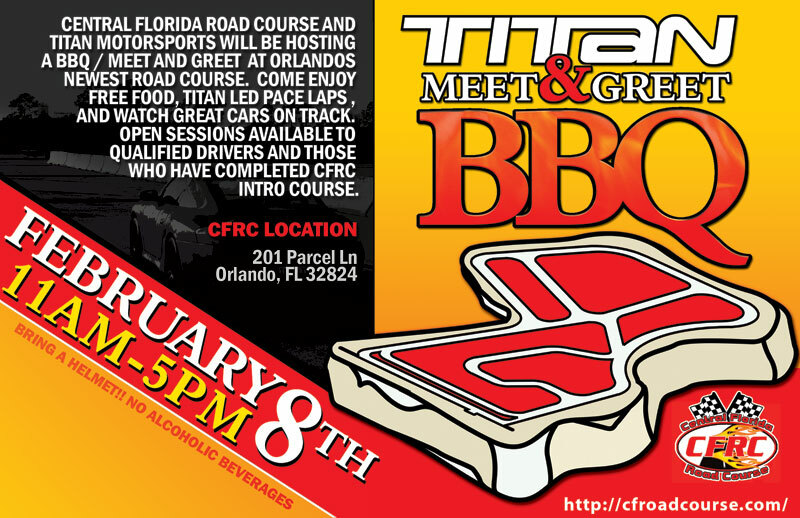 On February 8th we will be hosting a BBQ Meet and Greet at Orlandos newest race track, the Central Florida Road Course. The event will be hosted from 11-5 at the road course which is located. Food and beverage will be provided. No alcoholic beverages are allowed on site. - Open Session for qualified drivers and those who have completed driver training. Dont forget to Bring a Helmet!!! Ant one else going? Kris and I will be heading out around11:30. Guessing it will be a little over a hour to get there. So if you see a white classic Mini with checkers come over and say Hi. Too bad there wasn't a little more lead time. Thought about it but decided to be lazy. It was a nice event. We got to go out and do some parade laps. We were behind a pace car but at a good pace. Nice facility. I could see a wicked Auto x set up using the track and the inner paved area.. The course itself is going to be to small for a Lemons event. But Time events or an all out race with Miatas or Minis would work. Driving classes would also work for some one that has only done Auto X events. But if you have been doing Moroso or Sebring this is quite a bit smaller. My concern was where to have a safe passing area.. There really is only one or 2 good straights to have as a safe passing area. If you were local, I could easily see the membership thing paying off. Getting a good deal of test and tune in on your car. But at over an hour drive from Tampa, its about the same time on the road to get to Sebring. So it would come down to a cost to driving experience decision.